Recently launched Kenyan data analytics firm SuperFluid Labs already has expansion to Asia in its sites as it plans to help institutions across a number of regions better serve the needs of their customers. SuperFluid Labs was only launched this year by Dr Abdigani Diriye and Timothy Kotin, two former colleagues at IBM Research Africa, with the mission of bringing tomorrow’s analytics capabilities to businesses today. The startup’s initial client focus is the financial services sector, but it is planning future expansion into retail and telecommunications. “Our core capabilities span personal financial tracking solutions to consumers, and a data aggregation and analytics platforms for financial institutions to understand consumer financial behavior and attributes. This allows our clients to offer relevant products and thus foster access to credit, insurance or other financial services,” Diriye told Disrupt Africa. New it may be, but SuperFluid Labs has already made huge progress. Initially bootstrapped, it will be closing a seed round later this year from VCs and angel investors based in Africa and Southeast Asia. Asia, in fact, looms large. Currently operating solely in Kenya, SuperFluid Labs will be opening an office in Asia early next year, while also expanding its core offerings to consumers and financial service providers in West Africa. The catalyst for this geographic expansion was the startup’s acceptance earlier this year – along with South African fintech startup Creditable – onto the first cohort of the DBS Accelerator in Hong Kong, a three-month programme that offered startups access to mentoring and key decision makers at DBS as well as the possibility of funding. 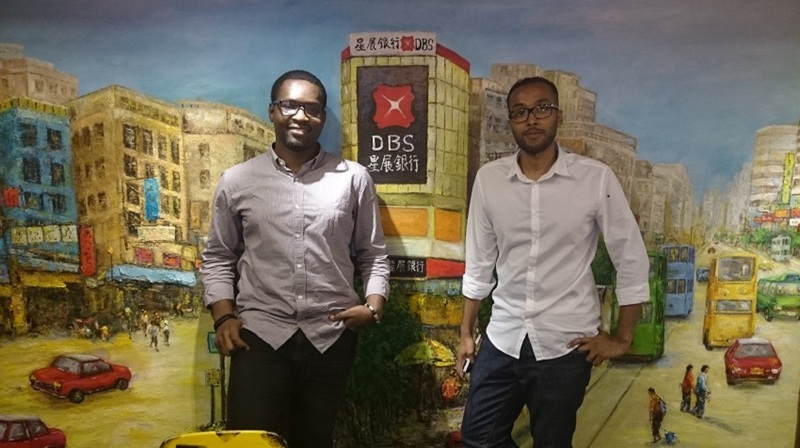 The DBS Accelerator is a collaborative initiative between Hong Kong’s DBS Bank and startup incubator Nest, which this year announced the opening of an office in Nairobi, Kenya, which the company will use to roll out accelerator programmes, invest in startups and build links between Africa and Asia. SuperFluid Labs recently completed the programme, which Diriye said was “very productive”. “We were supported by the likes of KPMG, Amazon, Microsoft, and DBS to accelerate our growth, help with our strategy and get information on topics from HR to funding to product development from domain experts,” he said. The startup certainly feels it has discovered an addressable gap in the market, with Diriye saying one of the main challenges in emerging markets like Africa is the dearth of financial tools and information available to consumers and financial service providers. This, he said, impacts people’s financial wellbeing and makes it difficult for financial service providers to understand consumers, offer relevant products and enable access to financial services. “Our experience working with leading banks and telcos in this space has demonstrated to us the need and potential impact of this,” Diriye said. Though SuperFluid Labs faces competition from the likes of Palantir, the co-founder believes his startup is unique given its specific focus on the financial services sector and emerging markets. Meanwhile, its enterprise software-as-a-service (SaaS) model ensures its overall proposition is cheaper, faster and better than other alternatives, Diriye said. Generating revenue through deployment and customisation of its solutions to enterprise clients, and the fees it charges financial service providers to advertise on its consumer app, SuperFluid Labs is currently cash flow positive and profitable. It also has the benefit of a top-notch founding team, comprising world-class research scientists, consultants and operation managers from the likes of IBM Research, Microsoft Research, Harvard University and the University of Cambridge. “The team has also published over 45 papers, reports and patents in leading scientific journals and outlets,” Diriye said. Though there have been “growing pains” over the last few months as SuperFluid Labs takes on new “superstar employees” and runs operations on two continents, Diriye is confident the startup is operating in a space that is only set to grow. “Fintech is changing an important sector which has been stagnant in some respects for many years,” he said.